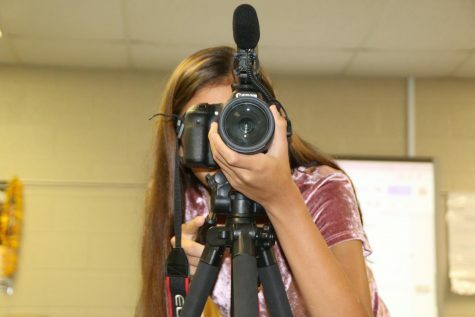 Arianna Green, sophomore, is a reporter and videographer on the 2018-2019 newspaper staff. How Green plans to help the newspaper by taking as many pictures she can and writing as many stories as she can. Her motives for this year are to write sports stories and also take pictures for sports. The one thing she is most excited about this year is getting to inform kids about what’s going on around the school.